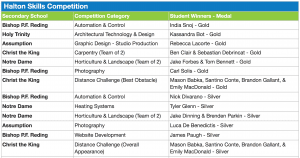 On Thursday, April 9, 2015, the Halton Catholic District School Board witnessed the unbelievable talents of our Grades 4 – 12 students at the 26th Annual Halton Skills Competition, held at Craig Kielburger Secondary School, in Milton. The Halton Skills Competition showcases the many skills and talents of elementary and secondary students in the Halton Public and Halton Catholic School Boards. 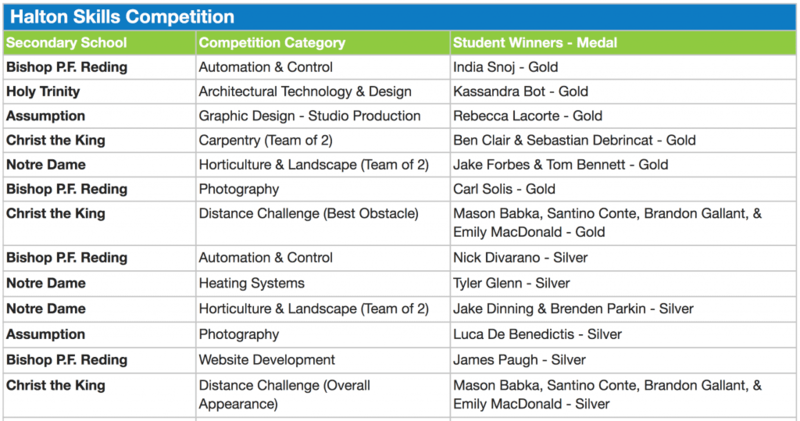 Congratulations to all students for their achievements at this year’s competition! Special thanks to over 300 students for cheering on their peers, as well as the staff and coaches who encourage our students to use their God-given talents. 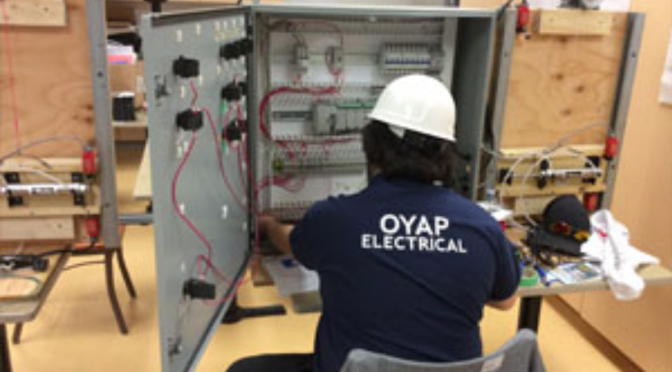 With 125 competitors at the event, 20 of our students will move forward to compete in the Skills Ontario Competition!